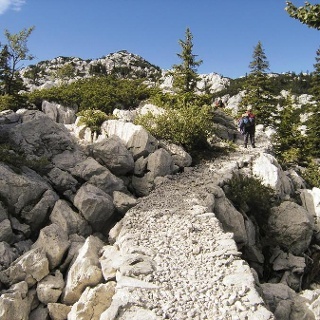 A great hike across Velebit. From Lika to Dalmatia, changing the scenery. 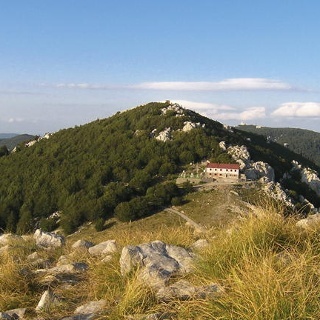 Spend the night at Planinarski dom Zavizan and take an extra day to hike to some peaks near the hut. Be aware of the harsh conditions during the winter. Although it's a marked hiking trail, the weather and snow migth make it a pretty difficult hike. Unfortunately it's an expedition to actually reach the trailhead. 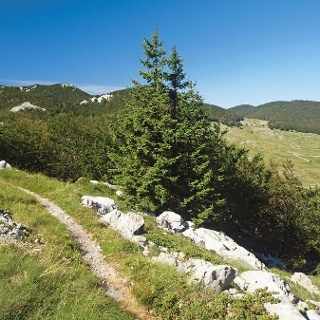 There are busses from Otočac to Krasno and also hopping on a schoolbus might be a good way to the trail or leave Gornja Klada. I can't really inform you about which or where to get more information, because everything I found on internet turned out to be different in reality. So, be prepared and take your time!